Orange you glad you used color? Want to make an out-of-this-world Halloween pumpkin? Take a cue from the engineers at NASA’s Jet Propulsion Laboratory. It’s their job to design and build robots that can travel millions of miles to study other planets – and sometimes even land and drive around on the surface. 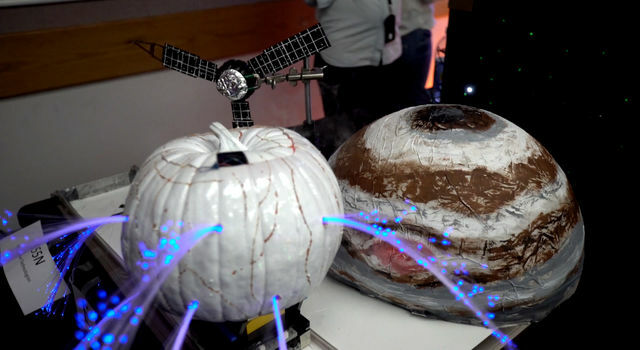 So on Halloween, they can’t help but bring some of that same creative thinking to designing stellar pumpkins inspired by space exploration. 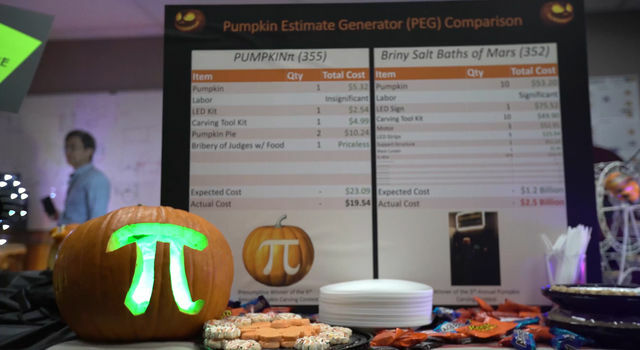 Check out some of their pumpkin creations, and get tips on how to make your own pumpkin like a NASA engineer! 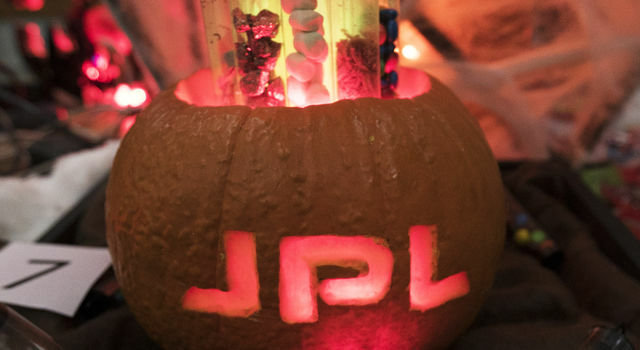 Explore our Flickr album for more pumpkin designs from NASA/JPL. Important safety note! Do not create your pumpkin without adult supervision. Follow all general and listed safety precautions when using sharp objects and those with electrical components. If your design involves carving, ask an adult to help and use tools designed for safe pumpkin carving. 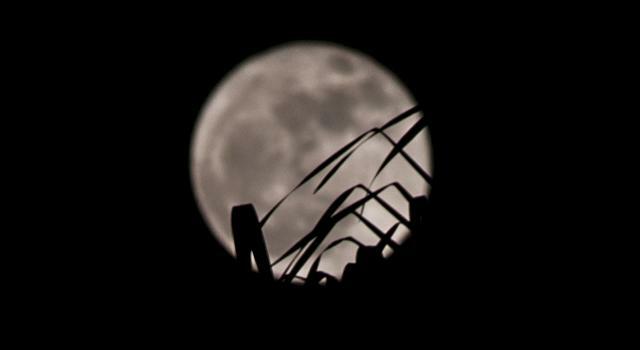 For younger students, try this Halloween pumpkin activity from NASA's SpacePlace. (Optional) Paint, construction paper, string, clay, LED lights, motor, pump, old toys, wired or wireless speaker, programmable microcontroller ... anything that inspires you! Lots of the most creative pumpkins have a theme based on a NASA mission, a science discovery or scientist, a science fiction movie or a video game! While you’ll still most likely need to hollow out your pumpkin, think about what might be attached to the outside, orbiting, surrounding, covering or emerging from within your pumpkin. Instead of discarding the “guts” and roasting the seeds, think about how you can use those elements to add to your design. Who says you can only use one pumpkin? A second or third small pumpkin might be just what your creation needs! Use paint, construction paper, string, clay and other colorful additions to make your pumpkin stand out! Traditional jack-o’-lanterns use a candle or tea light, but is there another way to bring light to your creation? LED and fiber optic lighting can bring a dazzling glow to your creation. Nothing makes a jack-o’-lantern come to life more than movement! Add motors, pumps or other devices that create motion to make your pumpkin stand out. Take apart old toys and repurpose their motors and gears, like a mechanical Dr. Frankenstein! Add a small wired or wireless speaker to give your pumpkin volume. Using a small programmable microcontroller like an Arduino, LaunchPad, Pinguino, Teensy or Discovery Board with output devices and sensors can make your pumpkin an engineering design masterpiece. There’s no wrong answer in pumpkin engineering. Get an idea and try it out!